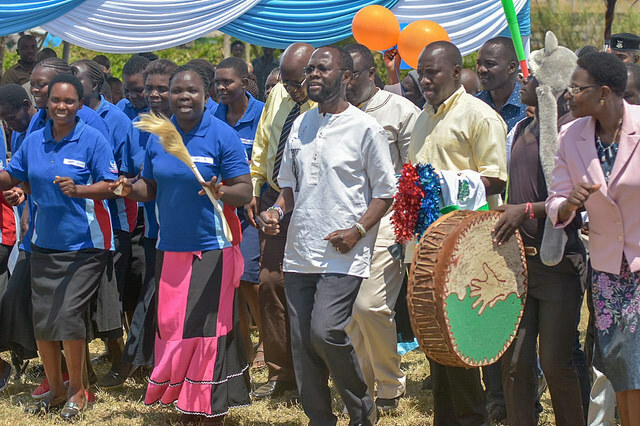 Eight Adolescent Centers Officially Launch in Kisumu County! 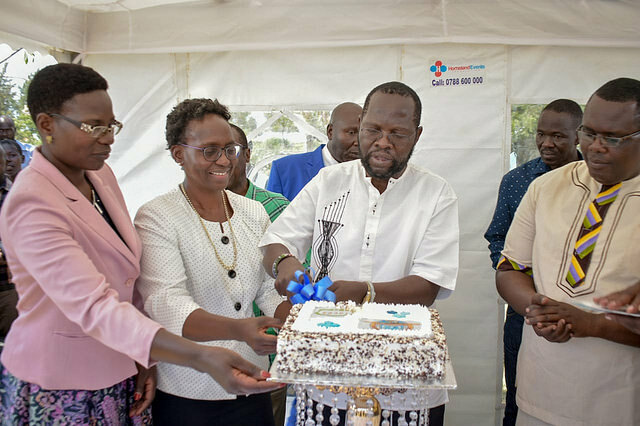 Kisumu County celebrated the opening of eight new adolescent centers on Thursday. The event was held at Rabuor Sub County Hospital, home to one of the centers. The vibrant centers will provide youth-friendly health services and education, psychosocial support, and plenty of activities to keep adolescents engaged and healthy. The celebration included moving personal stories shared by caregivers and adolescents, a tour of the facilities, ribbon cutting, music and dance, cake cutting, and inspiring speeches by distinguished guests. Adolescents from all eight centers attended and had great presentations including the Operation Triple Zero flag, anthem, and artwork. The event was officiated by Hon/Prof. Peter Anyang’ Nyong’o, the Governor of Kisumu County; Dr. Elizabeth Bukusi, FACES Co-Principal Investigator; Dr. Francesca Odhiambo, FACES Director; Dr. Rosemary Obara, CEC Health, Kisumu County; Leon Nyang’ware, Adolescent Focal Person for Kisumu and representative of the Chief Officer of Health and County Director of Health, Kisumu County; and Dr. Mathews Owili, Deputy Governor of Kisumu County. The Ministry of Interior and Coordination of the National Government were represented by the Assistant County Commissioner for Nyando, Mr. Mohammed Ishmael. The eight centers are located at Kisumu County Referral Hospital, Lumumba Sub-County Hospital, Rabuor Sub County Hospital, Masogo Sub County Hospital, Ahero County Hospital, Muhoroni Sub County Hospital, Nyakach County Hospital, and Nyahera Sub County Hospital. The centers were created through the collaborative KEMRI and UCSF FACES program in partnership with the Kenyan Ministry of Health and through the support of the Children's Investment Fund Foundation. Click here to see more photos from the celebration.